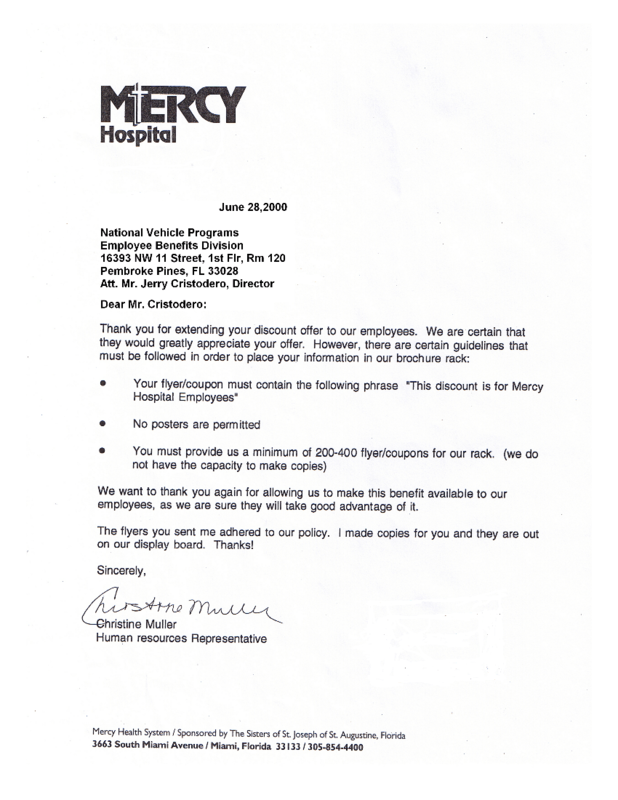 This is the acceptance letter from Mercy Hospital in Miami, Fl, to the National Benefits & Vehicle Programs supplemental employee benefits. Click on the image below for the full size letter. Thank you for extending your discount offer for our employees. We are certain that they would certainly appreciate your offer. However, there are certain guidelines that must be followed in order to place your information on our brochure rack. 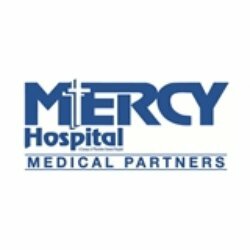 We want to thank you again for allowing us to make this benefit available to our employees, as we are sure they will take good advantage of it. The flyers you sent me adhere to our policy. I made copies for you and they are out on our display board. Thanks!